After a busy week, it’s only mandatory that you enjoy down time this weekend with amazing food and drinks. 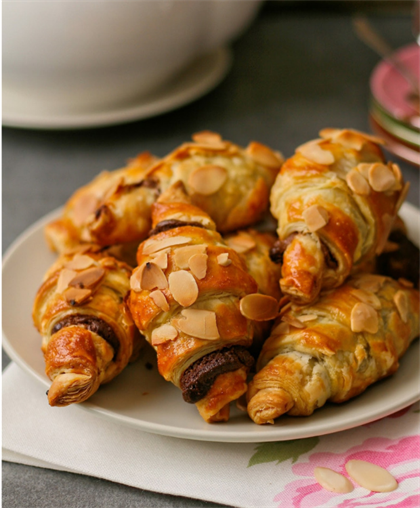 Forget the bakery this weekend and bake at home filling your house with the heady aromas of these mini chocolate and almond croissants for breakfast. Delicious! 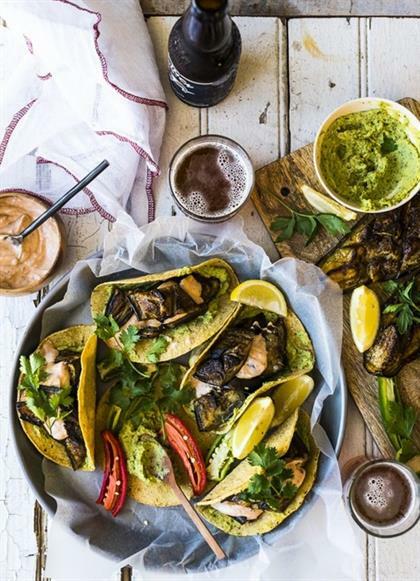 Enjoy a light vegetarian lunch with a few roasted aubergine tortillas topped with spicy harissa yoghurt. 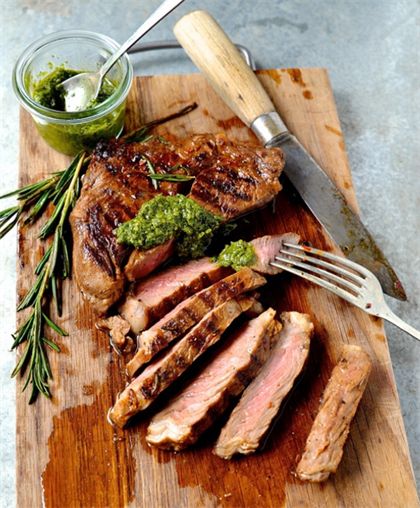 Get your fire ready and braai these marinated ribeye steaks served with a flavoursome, herby pesto. Entertaining at your place this weekend? 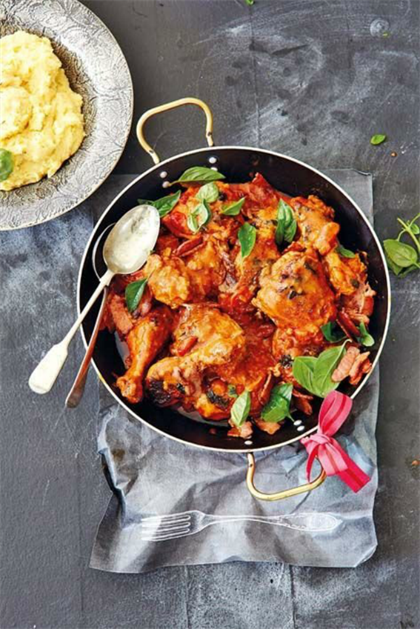 Try this sensational tomato and basil chicken with creamy polenta for a decadent feast. 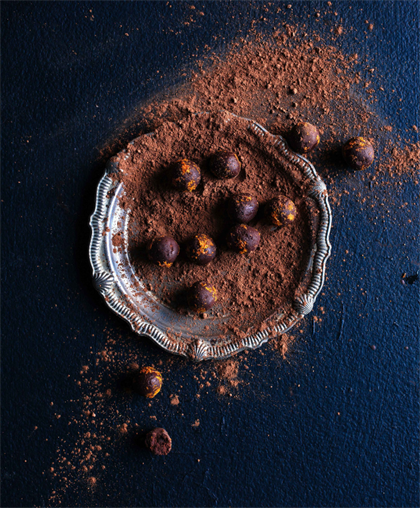 Local is lekker with these naartjie flavoured chocolate truffles, perfect with a cup of coffee or served with your favourite ice cream. 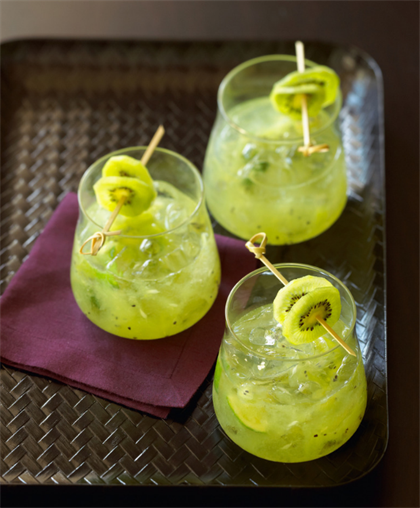 Shake things up this weekend with an exotic icy daiquiri kiwifruit cocktail. Hungry for more? Check other other weekend feast menus!